Spice up your ethnic look with these gold colored earrings that are lightweight and practical. 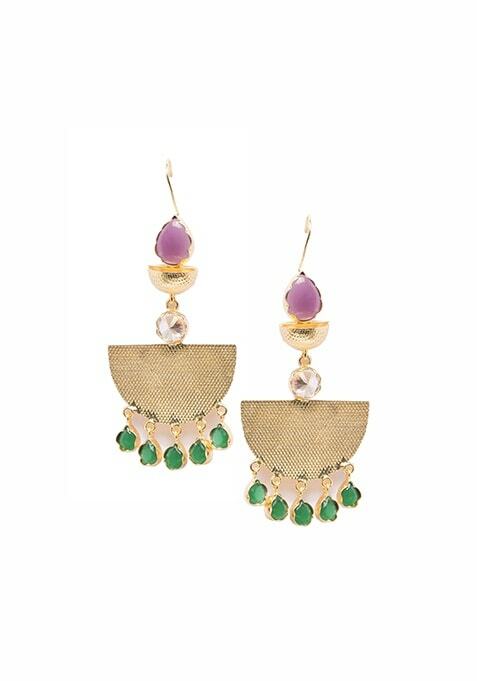 These feature green stone floral drops and semi-circular metal disc. Work It: These make ideal companions with maxi skirts, suit sets, sarees etc.